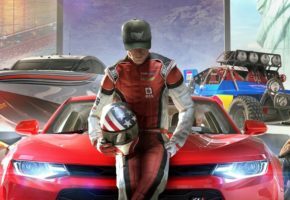 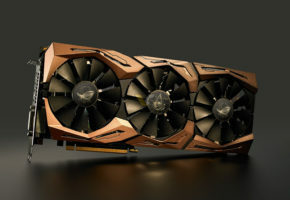 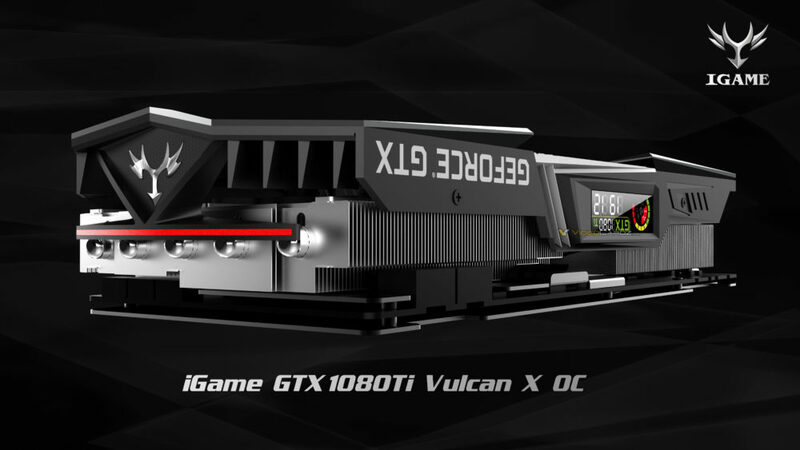 Colorful today announced the specs of upcoming iGame Vulcan X OC based on GTX 1080 Ti. 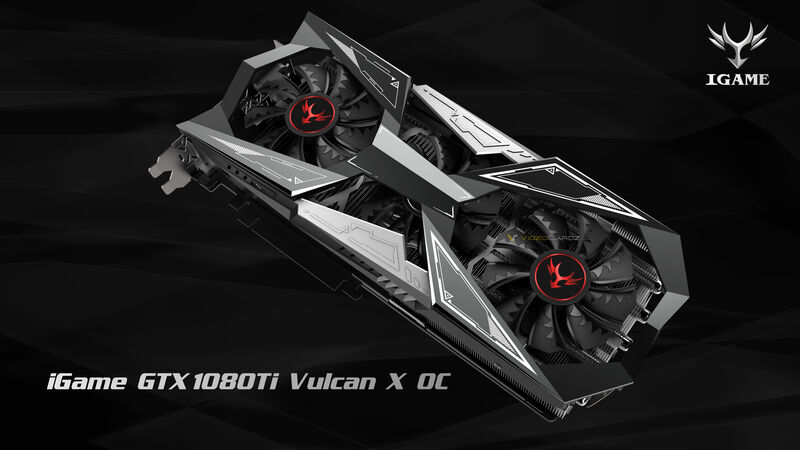 Have you heard about Vulcan X OC? 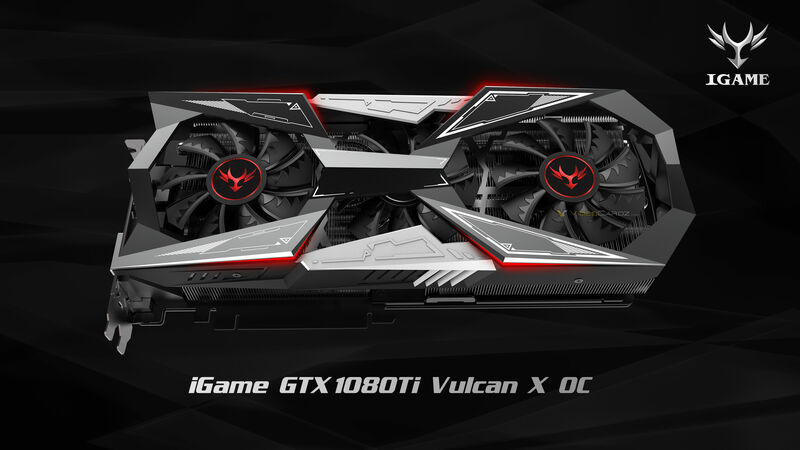 Triple-slot & triple-fan SWORIZER (actual name) cooling solution, LED Status Monitor, full cover backplate, 16+2 phase power design and high factory-overclocking, that’s a new iGame card from Colorful. 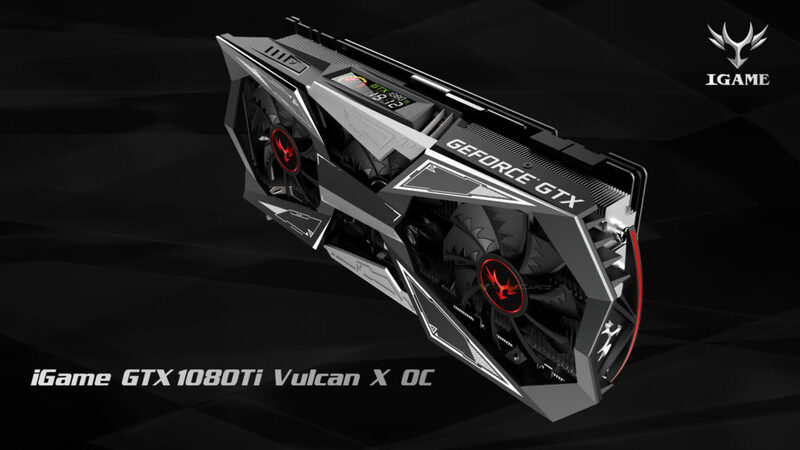 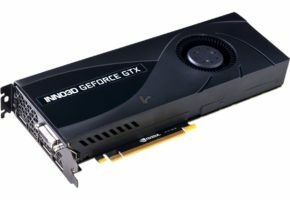 The company today released final specs of their new card and it appears to be second fastest GTX 1080 Ti on the market. 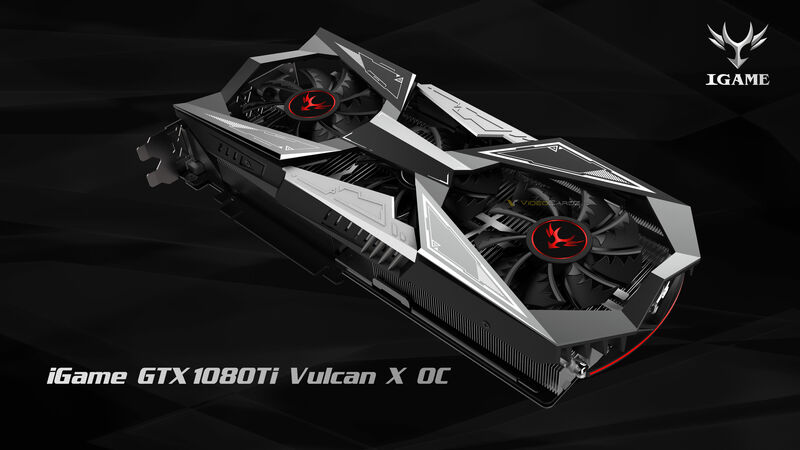 With a base clock of 1620 MHz and a boost clock of 1733 MHz it will be on pair with ZOTAC PGF OC, but still 13 MHz slower than AORUS Xtreme Edition. 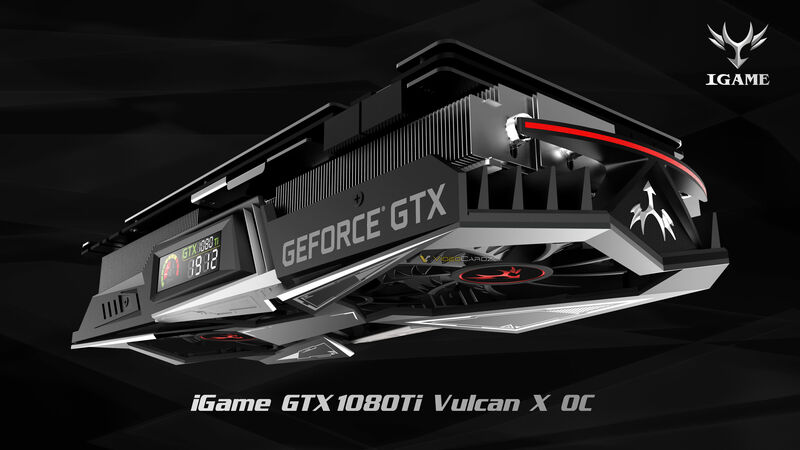 Furthermore, Colorful also announced today that three more custom cards are coming. 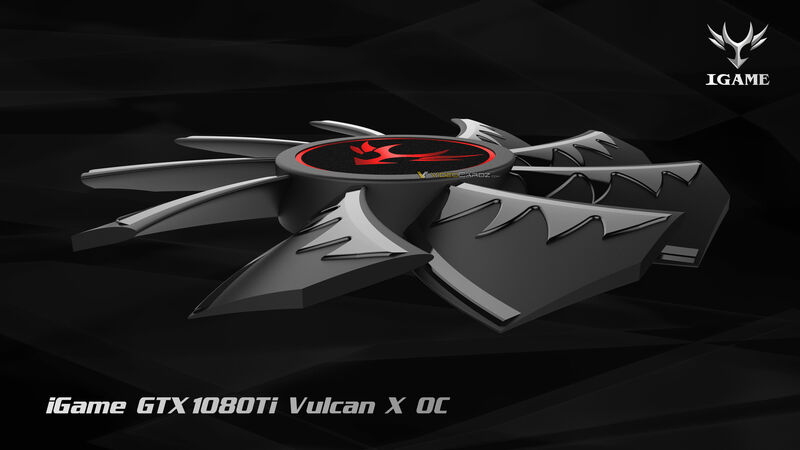 The KUDAN (the flagship model) is already in the making. 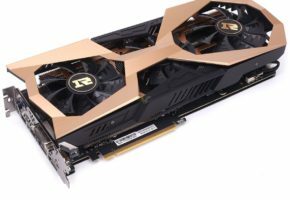 Not only that, NEPTUN a graphics card with water-cooling in mind is also planned, but no other details were available at this time. 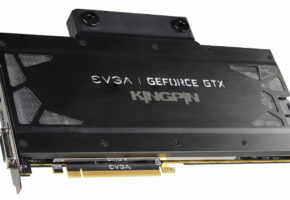 Finally, the fourth model will be called Customization, which is likely a limited edition or some sort. 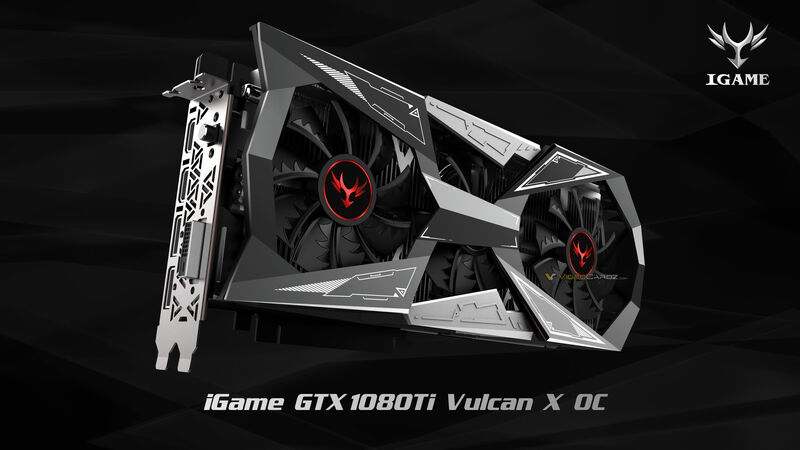 Colorful iGame GTX 1080 Ti Vulcan X OC is currently expected early next month.